According to the CA Modernist, Dave Weinstein, over at the Eicher Network, the X-100 is likely to be placed on the National Register this April. 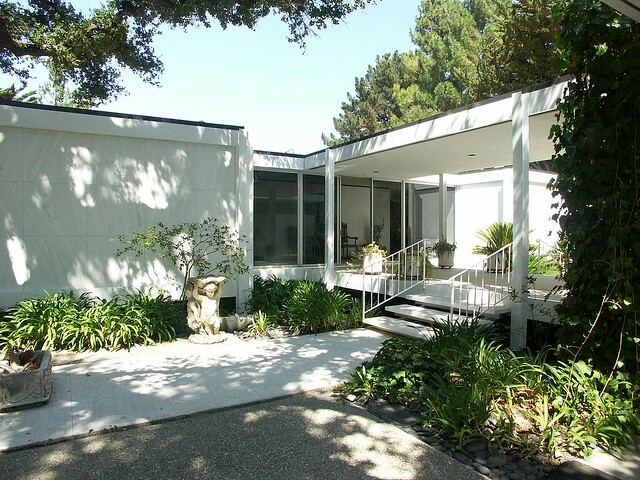 It is being restored by its owner, Marty Arbunich, Eichler Network director and CA-Modern magazine publisher. So, we should see it looking a lot like you see it here. 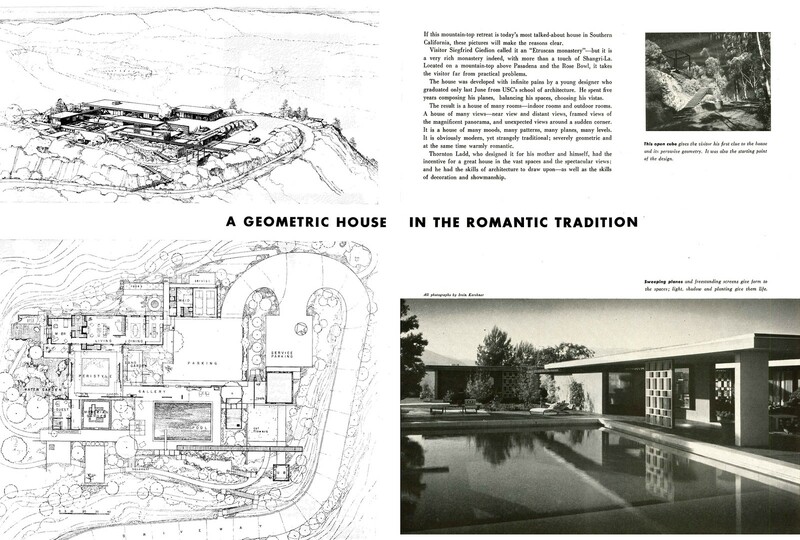 “Early in Haertling’s career he was commissioned by University of Colorado psychology professor Theodore Volsky to design a house for his family of four on a steep hillside lot extending from a mountain stream in west Boulder. The lot featured views in all directions, half of them slightly upwards to the mountains. The Volskys were interested in taking advantage of these views in a dramatic living room situation. The prominent upward views suggested the upwards curving catenary roof form open to the high view areas while still maintaining interior scale. 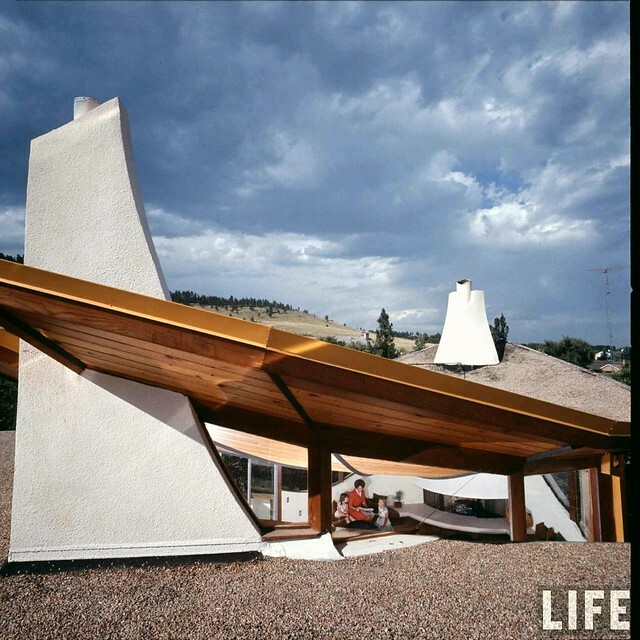 One gets a 360′ view from the curtain-less living room of the mountains to the west and south, and the plains and cityscape to the east and north. The steepness of the site was accommodated by lowering the house into the earth as much as possible to the rear and allowing light in by way of large lightwells. 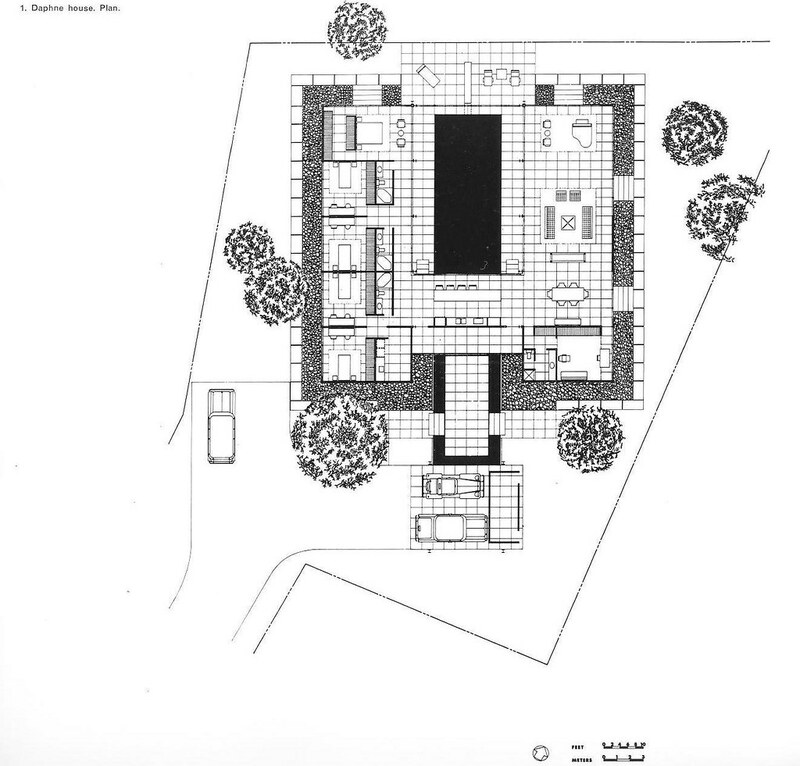 For basic economy a circular floor plan was conceived, which allowed for increased circulation in the smaller area of the circle and for larger rooms with minimum access distance. 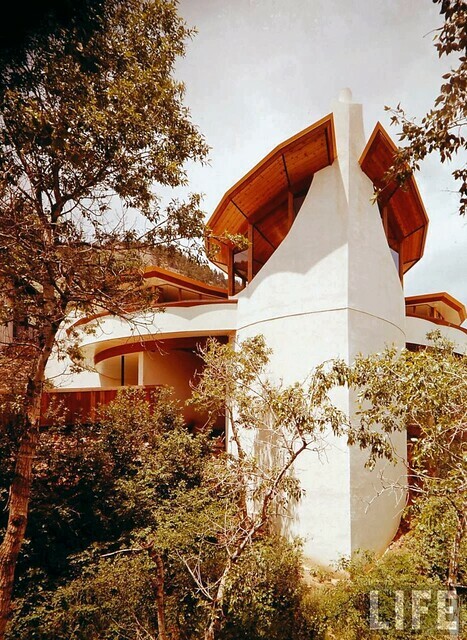 The living room sits atop the circular form blossoming at the highest point from the ground that capitalizes on the excitement of the terrain. 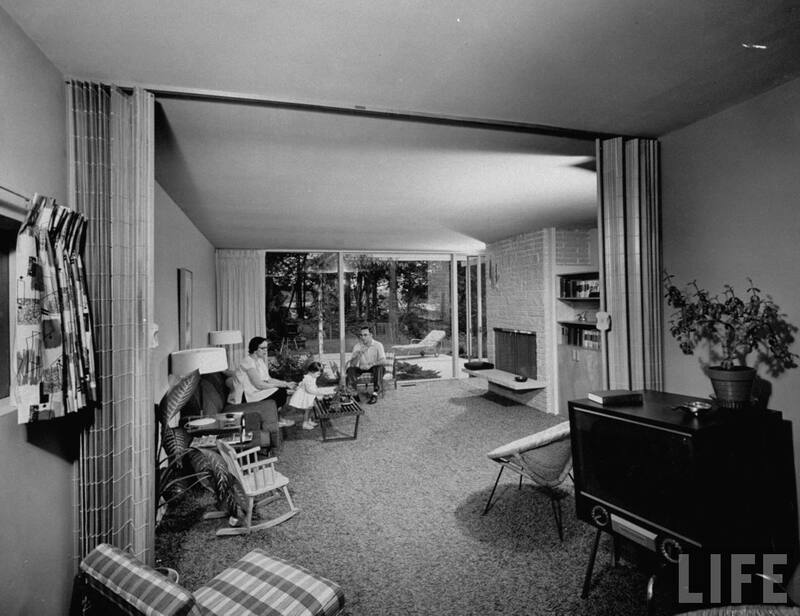 The lower level contains a recreation room and the entry. Upon ascending the stairs one emerges into an interior garden which not only surprises and delights, but also is very functional in that it serves also as a short cut between living areas. Ready for a another athlete’s home? You already got an insider’s view of Willie Mays’ pad from the 60s, so let’s see how Wilt “The Stilt” Chamberlain pushed the limits of mod living as shown in Life from March 24, 1972 and the January 1974 issue of Ebony. 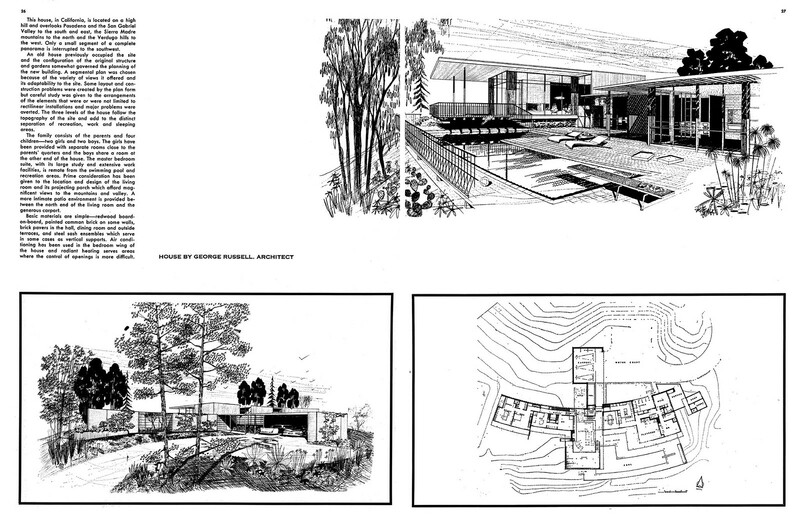 The architect was David Tenneson Rich who has the story of his involvement on his site. 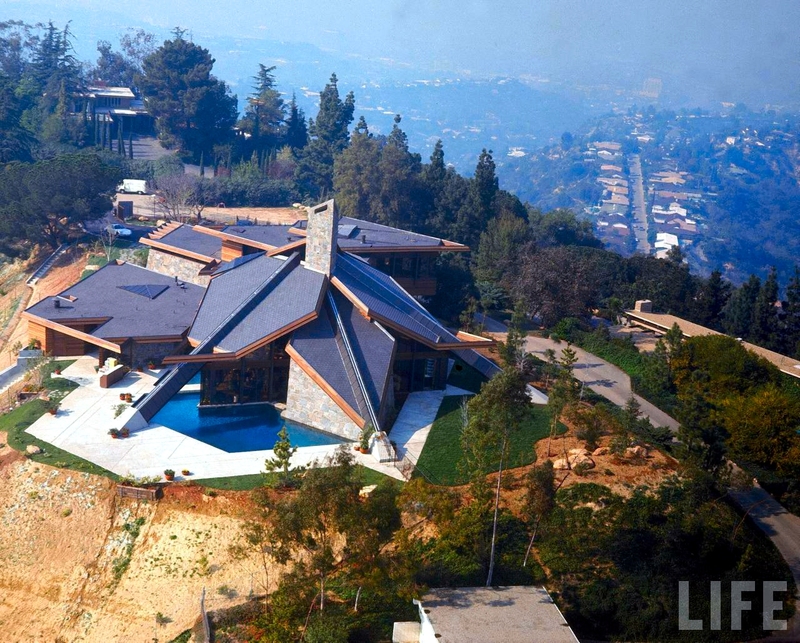 “Built in 1971, the five-bedroom, 7,158-square-foot contemporary-style house at 15216 Antelo Place in Bel-Air was built by Chamberlain, who lived there until his death in 1999. TV writers George Meyer and Maria Semple purchased the house from Chamberlain’s estate in 2002 for nearly $3 million, and have owned it ever since. The house has attracted much attention over the years—both with this listing and in 2000-2002, when Chamberlain’s estate was trying to unload it, first for $7.45 million and later reducing its asking price to $4.38 million. 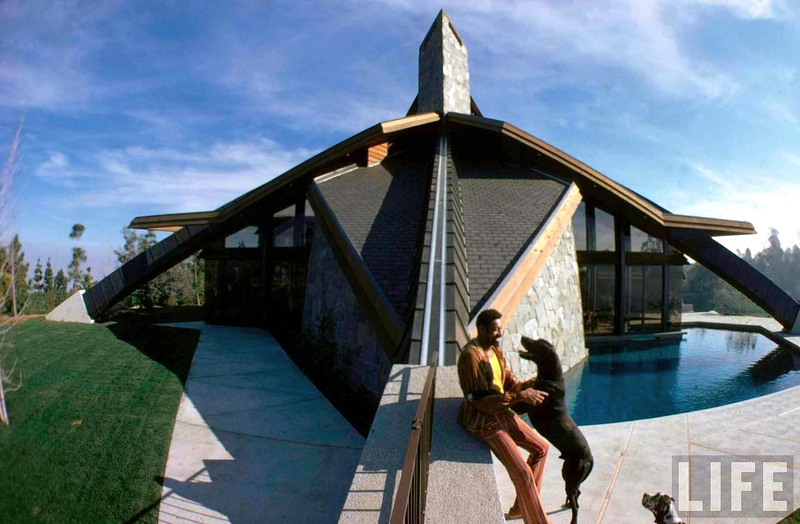 The house’s unconventional (some might say tacky) features include a gold-lined hot tub, a retractable mirrored ceiling above the master bed, a swimming pool that flows into the living room, walls of glass, 40-foot ceilings, a wrap-around pool, and a balcony suspended over the living room, according to listing information. Other features include five and a half baths and teak finishes, according to listing information. 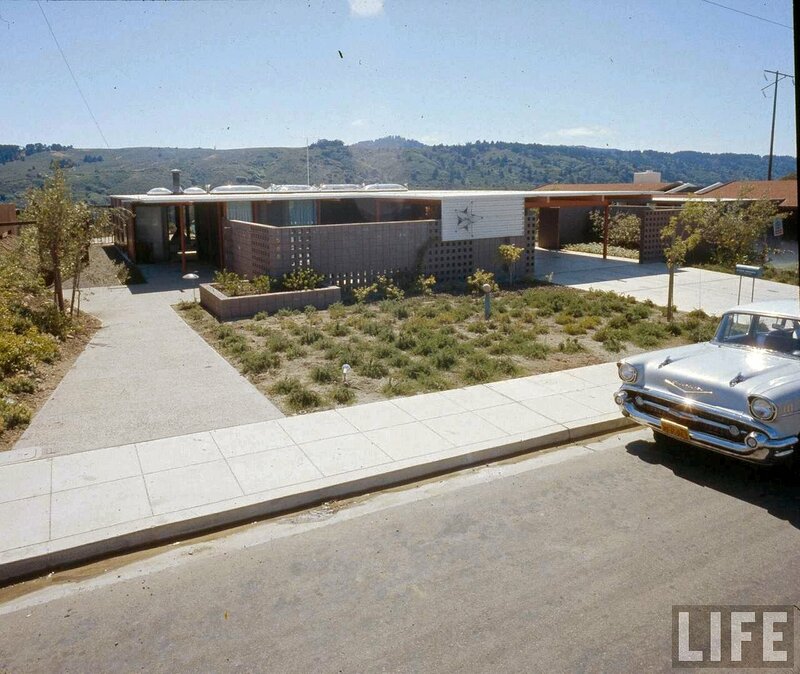 When you’ve only seen a house in photos taken 50 years ago, you’re not sure if you want to see it in its present-day condition. So, it’s a pleasant surprise to see the Daphne house looking kept up (if a little overgrown) and still looking like its original self. 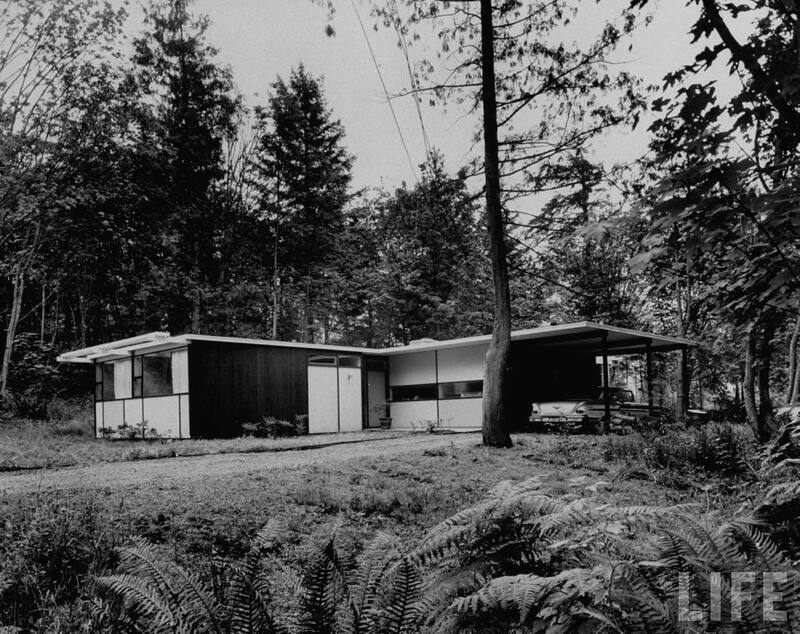 Nicholas and Virginia Daphne commissioned Craig Ellwood to design their house in the late 50s after trying unsuccessfully to work with Frank Lloyd Wright on a house design. 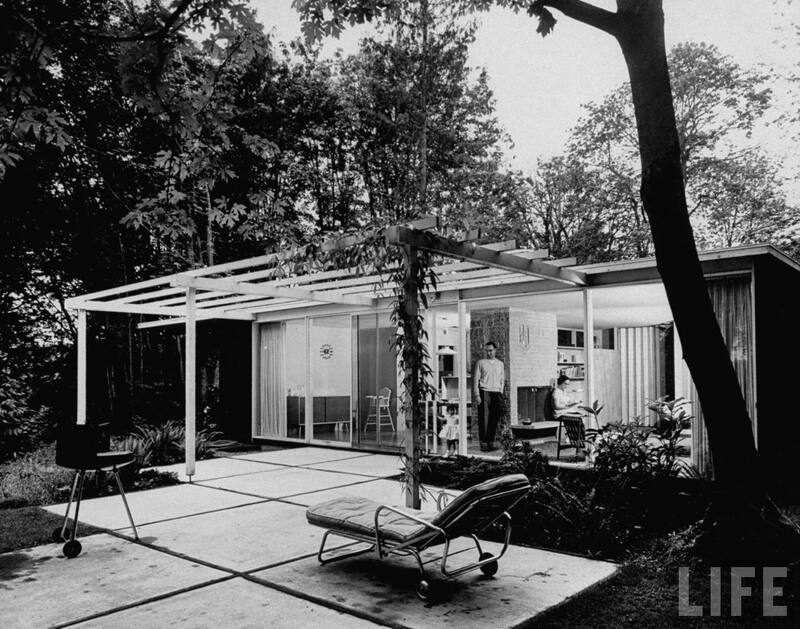 In 1953, Mr. Daphne had visited and admired Ellwood’s Case Study House No. 16.